WoW Archaeology offers a variety of companions to vanity pet collectors. There are many pets available to burgeoning archaeologists. No doubt more will become available in future patches and expansions, making this a must-have secondary skill for any serious pet collector. The way WoW Archaeology works is there are four dig sites available to you at any one time on each of the continents (Eastern Kingdoms, Kalimdor, Outland, Northrend, Pandaria, and Draenor). 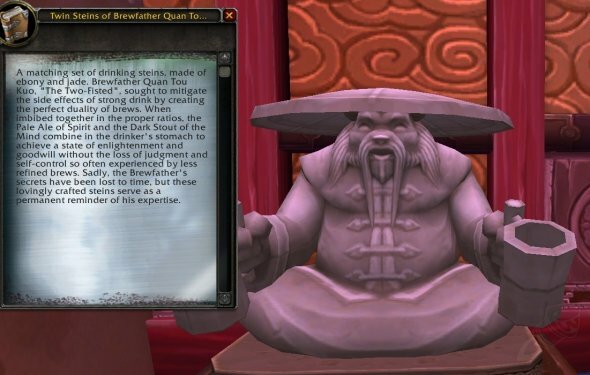 Archaeology in WoW works basically by triangulation. If you aren't familiar with the term, triangulation is the process of determining the location of a point by measuring angles to it from known points at either end of a fixed baseline, rather than measuring distances to the point directly. The point can then be fixed as the third point of a triangle with one known side and two known angles. Yeah, that's too technical for me too. Anyhow, once you pick up Archaeology as a secondary tradeskill, you learn two new skills available in your spellbook: Archaeology and Survey. 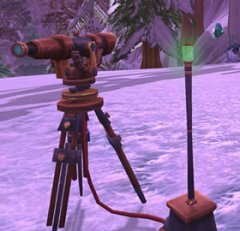 Archaeology is used to put the fragments you find together into new items (like pets), and Survey is what you use to find the fragments. Okay, you've purchased the Archaeology tradeskill from a trainer (located in any capital city) and have begun the fun grind to get the archaeological companion pets. Once you have it learned, head out to Draenor and start any digsite that is close to you. You don’t have to level it in Draenor forever, this is just so you get a Brittle Cartography Journal, which allows Archaeology training up to max level. This means you won’t need to visit a trainer ever again. Yay! The biggest changes to Archaeology now is all dig sites before Draenor have six nodes available. Draenor digsites have nine. You also continue leveling up to skill level 700 just from digging and collecting fragments. Previously you could only level by combining fragments after the first tier, which ended at 75. If you want to focus on only one continent for leveling, you can choose Kalimdor, Eastern Kingdoms and Draenor from 1 to 700.